Data Scientist: In this course you will get an introduction to the main tools and ideas which are required for Data Scientist/Business Analyst/Data Analyst. The course gives an overview of the data, questions, and tools that data analysts and data scientists work with. There are two components to this course. The first is a conceptual introduction to the ideas behind turning data into actionable knowledge. The second is a practical introduction to the tools that will be used in the program like R Programming, SAS, MINITAB and EXCEL. 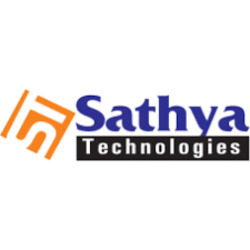 Sathya Technologies is one of the best Software Training Institute in Hyderabad India. Offers world class training on various trending software technologies in Hyderabad Join our Data Scientist Training Classes and Get trained By Real time Industry professionals to Get hands on experience. we ensure that Sathya tech is the best Data Scientist Training institute in Hyderabad. 2nd Floor, Sri Sai Arcade, Beside, Aditya Trade Centre, Ameerpet, Hyderabad-500 038.